He was a sales and wages clerk at T and H T Scowcroft, Colliery Proprietors, where he worked for 22 years. In 1919 he was elected General Secretary of the Lancashire and Cheshire Colliery Officials Association. In December 1919 he became the first National Secretary of the Federation of Colliery Officials, which received recognition from colliery owners in 1920. He subsequently negotiated the very first agreement for colliery clerks and officials. 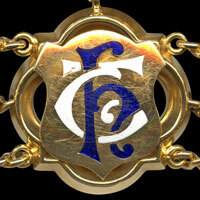 Represented Bradford Ward from1920. Alderman 1929. Borough Magistrate 1930. Chairman of the Public Health Committee. Governor of Bolton School, Mount St Joseph School, Bolton Church Institute and Bolton Municipal Secondary School. As Mayor he officially reopened the Market Hall on Knowsley Street on 5 April 1938. 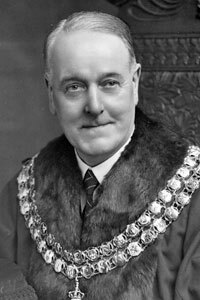 He laid the foundation stone of the extensions to Hulton Lane Fever Hospital on August 25 1938 and also opened the Public Health Offices in the Civic Centre – before the official opening by the next Mayor. He regretted that the civic banquet and firework display planned to celebrate the centenary had to be abandoned due to the international crisis, but felt that the presentation of the Freedom of the Borough to Alderman Taylor was a fitting close to his year of office. He was very proud of entertaining King George VI and Queen Elizabeth when they visited the town on their last day of their Royal tour of Lancashire on May 20 1938. There was an official reception on Victoria Square. On 14 September 1938 Smithills Hall and Estate passed into the ownership of the Borough. Halstead considered this one of the most satisfactory achievements of his term of office. To mark the Centenary, members of NALGO (National Association of Local Government Officers) presented the Mayor with a hallmarked silver tray for the Mayor's Parlour. After the ceremony Halstead presented a silver ashtray as a parting gift to the town inscribed with his name and the record of his Mayoralty. During his year of office Halstead was seriously ill and had an operation. The Mayoress, his wife Nancy, took over her husband's duties for a few weeks and received much praise for the way she carried them out. Methodist - he worshipped at Trinity Methodist Church, Tonge Fold and was a Lay Preacher for nearly 20 years. Forty-six years earlier, on 19 November 1937, the Bolton Journal and Guardian had reported that on the previous Sunday the new Mayor, Thomas Halstead, and members of the Corporation and Officials had attended Trinity Methodist Church. This was the Church which the Mayor had been associated with for 44 years and was still an active member. In spite of the wet night the church was full and extra seating accommodation had had to be provided. Reverend J W Dinsdale preached on the international concerns. The collection amounted to £11 13s 6d. The money was given to the Bolton Royal Infirmary. 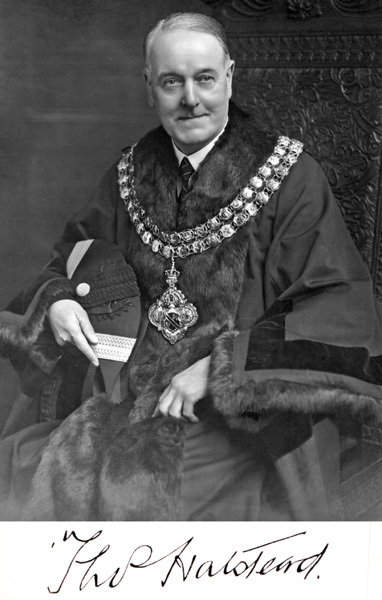 Formal portrait of Thomas Halstead as Mayor of Bolton. Thomas Halstead's link on the Mayor of Bolton's Chain of Office.